A broad and balanced curriculum is taught. The curriculum is covered in three Key Stages: Foundation (Reception class), Key Stage 1 (Classes I and II) and Key Stage 2 (Classes III to VI). There is an emphasis on the importance of developing key skills in reading, writing, speaking, listening, numeracy and science. The children also enjoy specialist teaching throughout their time in the school in PE, Music, ICT and Spanish or French. Exposure to these learning opportunities from the age of four helps to develop their learning ability in a most beneficial way. They also have a weekly swimming lesson throughout their years in Key Stages 1 and 2. Initially children are taught mostly by their class teachers but as they move up the school they are increasingly taught by subject specialists and by the time they reach Key Stage 2 they have five 1 hour lessons a day with a weekly timetable including English, Maths, French or Spanish, Latin (an option in Class VI), Science, Geography, History, Religious Education, ICT, Art & Design, Music, Speech & Drama and Physical Education including Swimming. To view more detailed information about the curriculum please click on the Information Booklet below. The Early Years Foundation Stage is statutory in all schools and continues with a distinct focus on the individual needs of children as they enter their Reception year. Children at Crescent also benefit from new activities and experiences at an early age including Dance, Music, Computing, PE and Spanish lessons all taught by specialist teachers. During Reception each individual learns through high quality play whereby expert and high ratio adult questioning, and use of rich language progresses learning rapidly. Weaved into this, children’s reading, writing and maths becomes more adult led as they are prepared to become confident and secure Class I learners who are motivated to reach their full potential. Building on the knowledge and experiences gained through their development in the Foundation Stage, from Class I the children begin a more formal curriculum. There is significantly less emphasis on play and much more exploration of subject led learning. This curriculum is based on national guidelines, with extras, and through excellent adult knowledge of the children and consistent praise and reward systems, children are nurtured and encouraged to achieve well beyond age expectations. 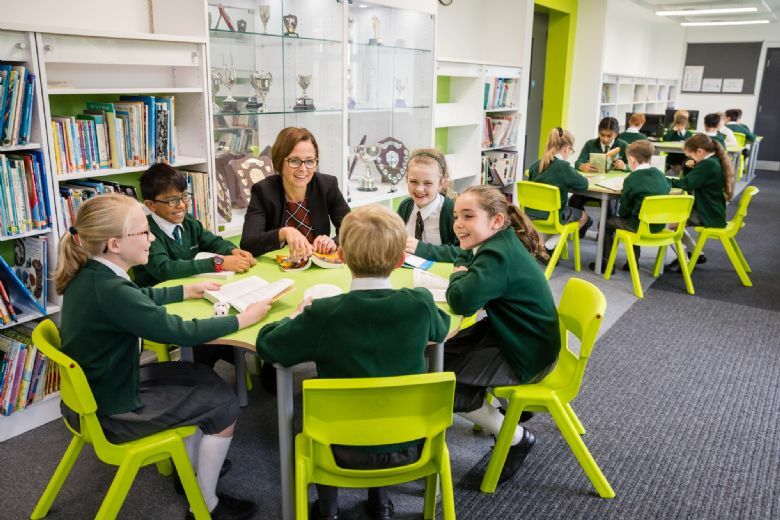 The core subjects of English, Mathematics, Science, Computing and RE are taught with children also experiencing more structured lessons in History, Geography, Design and Technology, PE, Games and Swimming, Spanish, Art, Drama, Music and PSHE. Many of these are taught by subject specialist teaching staff. High emphasis is placed on the progression of numeracy, reading and writing. Homework is further developed and children are exposed to a wider range of stimulating extra-curricular activities and outings as they become more rounded individuals. This all contributes to the children being prepared for Key Stage 2. The foundations laid in EYFS and Pre-Prep are built on in the Prep Department. As children grow older, independence and resilience is encouraged and nurtured. In Classes III and IV, pupils are taught their different subjects by more specialist teachers in specialist rooms, such as Science and Art and Design. Topic work is now distinctive as History and Geography; French replaces Spanish in Classes IV to VI as a modern foreign language. Thinking Skills is introduced in Class IV. Form Tutors still teach English and Mathematics up to Class V. Children are encouraged to reason, explain and conclude. There will be intellectual development, debate, creative and imaginative freedom as well as scientific exploration, independent study and scientific exploration. In Classes V and VI, the focus shifts to preparation for secondary school, whichever destination that may be. Children move around school following a timetable, with their bags and equipment to specialist teachers for all subject, this is excellent practice for senior school. The curriculum is supported by a variety of educational trips covering a range of interests from theatrical and historic to scientific, musical, adventure or sporting. Residential trips start with a night away in Class III, two nights in Classes IV and V and a week away in Class VI. There is more opportunity in the Prep Department to take part in teams and groups that represent the school. Our Choir and Orchestra are strong and make us proud at school and public events. All children have a chance to perform on stage and compete on a pitch or court, developing confidence and team-building skills along the way. Assessment across the department is on-going, consistent and structured towards formative and summative assessments. The programme, which is an extension of Princethorpe’s successful initiative, is named after Leonardo da Vinci because of his iconic status as a Renaissance man. The Renaissance ideal considers man to be boundless in his capabilities for development. It champions the notion that people should embrace all knowledge and develop wide ranging capabilities as fully as possible. In this way, we can encourage the children to extend their potential beyond a ‘notional’ limit and help them to see that knowledge and learning is not just something that happens to them but is actually an activity in which they can and should take an active part. With this ‘growth mind-set’ they can remove any limits on their learning and see where a thirst for knowledge, a creative mind and dedication to pursue new learning can take them! • All staff members at the school will look out for evidence of mastery, practice and creativity in the work and activities the children partake in. • When the teachers see evidence, they will award the student a da Vinci merit - at the Crescent this is in the form of a creativity, practice or mastery sticker. • This will feed into the House rewards system. • The students are congratulated and recognised during school assemblies for their work, their creativity and their commitment to learning-offering further recognition of their efforts and providing all the pupils with a good model to which to aspire. 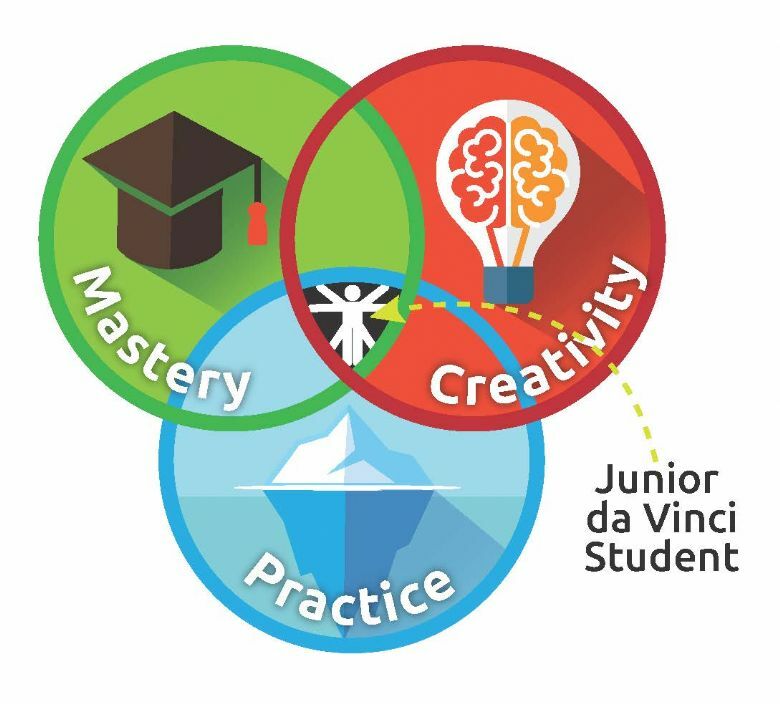 • Students who consistently perform at the da Vinci level across the board are offered rewards and further opportunities. Over the course of an academic year, consistently performing students across all three areas, creativity, practice and mastery, are awarded high quality pin badges-which when worn, instigate interesting conversations among the other pupils and visitors to the school. We care very much that all our pupils should be happy and achieving with us, and that means that we make it our business to understand how each one of them learns. If your child needs extra 1:1 help in areas of their learning we have the expertise you need with our specialist SENCO who has nine years teaching experience in dyslexia and dyscalculia. Our pupils benefit from staff who are quick to recognise and refer pupils who need specialist assessment and/or help. Each year we screen for dyslexia at the start of Class III. Our goal is to ensure that all children at Crescent School are happy and fulfilled; and providing the right support at the right time is all part of that mission. There is a charge for the 1:1 sessions.